Welcome to another MU (Miniature Unpacked). This time it is number 31. 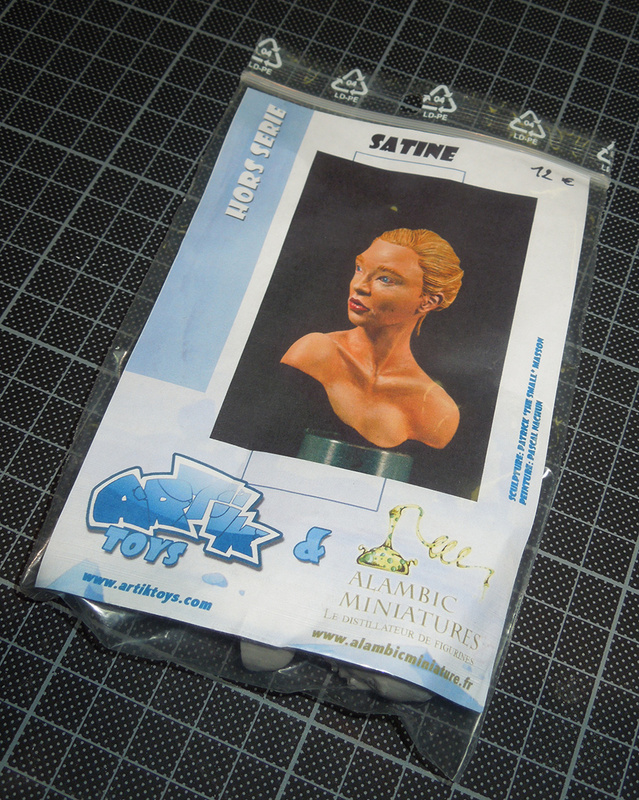 Lately I was reading in the german forum "das-bemalfourm.de" and found a thread where the bust of "Satine" by Arktik Toys was introduced. 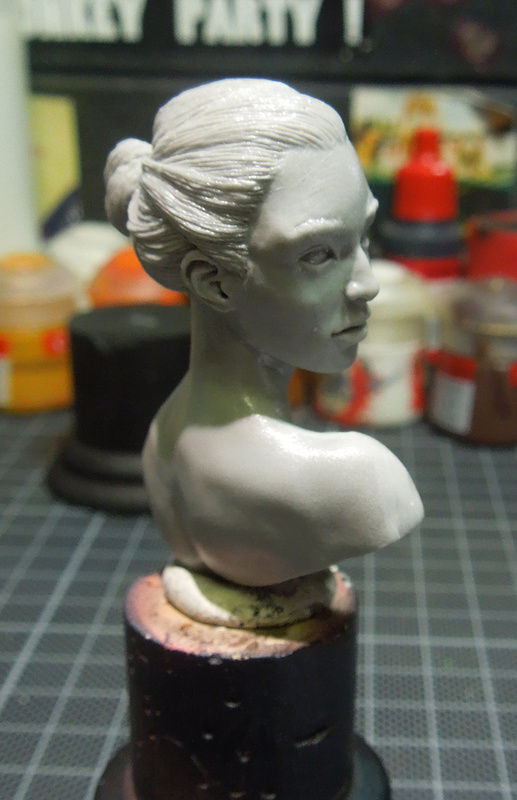 I really liked the bust from the first look and ordered myself one. If you are interested in getting one, just mail to Patrick, he is truely a nice guy. 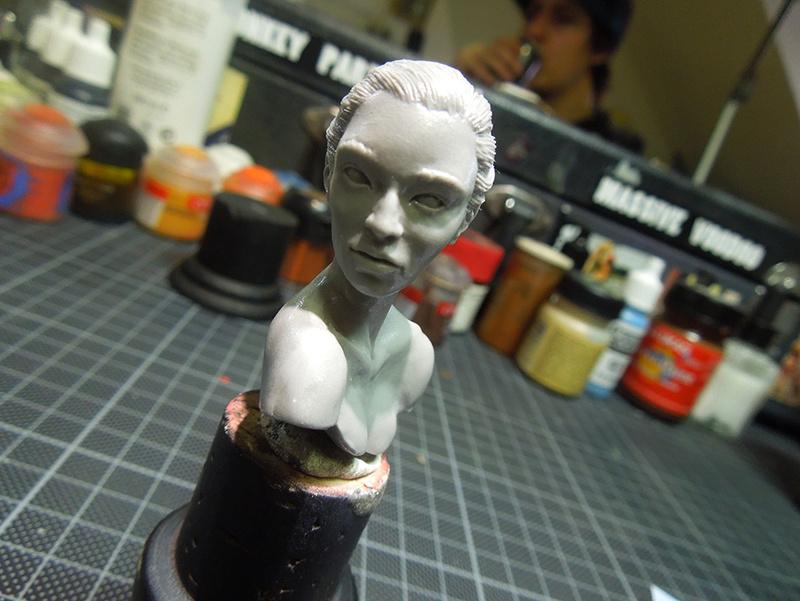 You can also order her at Alambic Miniatures, beside other cool sculpts. The bust is not as big as usual 200 mm busts. In fact she is in a really nice scale that I learned to like a lot while painting a bust lately. Her height is ~ 4 cm. She arrives in 2 pieces and is assembled pretty easy. The cast is, well let me say, mostly perfect. 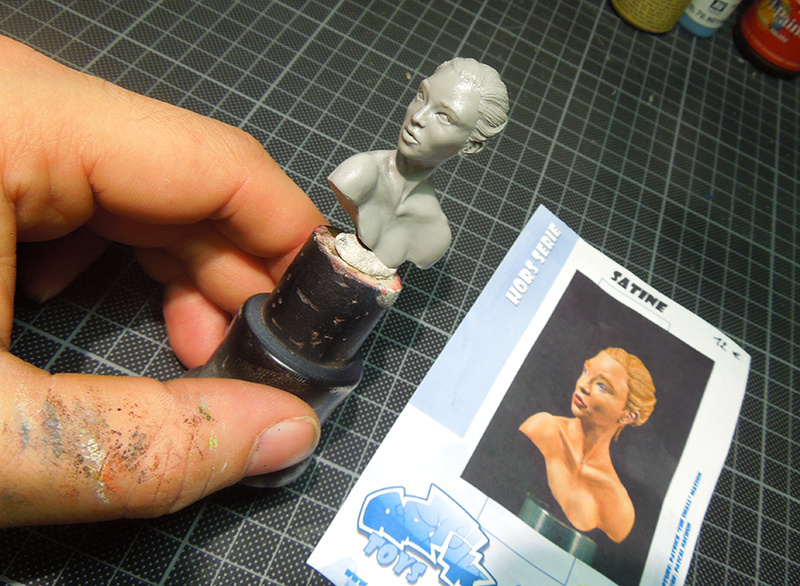 There are no mouldlines at the bust. Could have been really bad to find one at the wonderful sculpted hair. The lower part of the bust, the one that goes black in the end needs a little sanding, but that's it. The used resin is in good quality and makes working easy. The sculpt itself is truely beautiful in my eyes. I heard some friends saying that they don't like how her chest looks. It ends too sharp. I think they just miss boobies, but somehow I liked that about her. 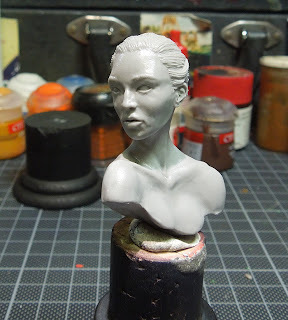 If you want to paint a nice female bust in a nice scale (to finish and enjoy it quick), I really can recommand this bust to you. Due the simplicity of the sculpt you are also able to do conversions on her. I did. The price of 12,00 € is more than fair. 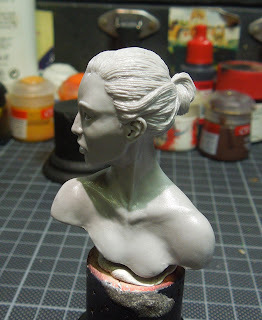 Thank you for the review Roman, can't wait to see your painted version of her.